Choosing a drone can be a daunting task. Researching, comparing, deciding, and trying to get the most bang for your buck can prove to be more effort than it’s worth. That’s where we come in. We did all the research. We gathered all the facts. All of the information that you need to make an informed decision is right here. Drones come in all shapes, sizes, and are tailored for a myriad of experience levels. With various capabilities which ultimately affect price, you need to know what is available and if it will fit your skill level. Knowing exactly what you want is great, but for the rest of us – a little extra research can only help in solidifying our buying decisions. You have questions. Well, we’ve pulled together the answers. Flying a drone is a fantastic hobby. It’s like flying a kite – only way cooler. It gets you outside, you’re still flying something, but you have much more control and a lot more options. The price range has a wide spectrum which gives the beginner, intermediate, and pro pilots lots of models to choose from. Replacement parts are easy to find and inexpensive, check out are drone deals page to find the latest offers. Also remember to check our drone coupons page that has daily updates of the latest discount codes. Beginner adults with a budget, or a youth looking to take up a new interest, should start off small and cheap when picking up a new hobby. A new flyer needs something inexpensive, sturdy, fun, and easy to handle. Beginner pilots will do well with a smaller drone and a regular joystick remote control. Drone flying is like riding a bike. It looks easy, but you have to get the feel of the machine and how to control it. Be prepared to make mistakes and possibly crash a few times. Beginner drones are smaller, less expensive, and easier to fly than larger more expensive drones. Flying a smaller aircraft will allow you to learn how to control the power and movement of the drone. Some are small enough to fly indoors so as to avoid losing it in a strong gush of wind. If you’ve ever played the old-school video games like Nintendo, you’ve won half the battle already. The joystick is exactly the same. Joystick remote controls are simple to use and fit easily into most sized hands, adult, youngster, or teens. Move the joystick in the direction you want the drone to go. That’s it. Just like a regular helicopter, quadcopters have rotors which have propeller blades. Crashing into a wall will most likely damage the blades or the engine itself. Get an extra set of replacement blades. Some quadcopter kits will supply extra blades, or you can purchase them separately. Also look for propeller blade guards (also called guard cages). They protect not only the propellers, but also whatever it happens to collide with. Quadcopters for new pilots can range between $20 to $100. Enough money to get a nice quality little copter without investing too much if you lose interest. Look for copter kits that say “ready to fly” (RTF). Most are out-of-the-box ready, but some do require a little bit of assembling. If you’re not very mechanical, shoot for the RTF kits. As your experience level grows, so will your taste in drones. You’ll want to get out of your comfort zone and push the boundaries by trying your hand at more complicated aircrafts. You’ll have to expand your budget a little since these quadcopters can cost between $100 and $800. Ariel video photography (AVP) is becoming extremely popular due to the ability to capture video and photo stills from drone-mounted cameras. The cameras usually come pre-mounted, so there’s no need for installation or crisscrossing any wires. The more expensive the model, the higher quality the camera. Cameras record the footage during flight. Spectacular high definition views can be captured in flight that are stored on the internal memory card and easily downloaded to your computer. Using a 3- or 6-axis gimbal, the cameras have pretty good stabilization that offers a smoother video with less shakiness. Some have a memory card, a thumb drive, or can be streamed directly to your smart phone via the app. The app replaces the remote control, too. With a built-in GPS, tracking the drone is easier and lowers the risk of losing it. A cool feature that drones in this category (and the professional level) have, is the return-to-home feature. You can’t lose the quadcopter if it knows where to come home to. Flight times for these intermediate quadcopters is longer, too. The typical range is usually about seven to 12 minutes, compared to beginner drones which are about four to seven minutes per battery charge. These drones fly faster – up to 30 mph – and can reach higher altitudes (sometimes up to 900 feet) than beginner drones. They are bigger, usually with four rotors to provide the extra power needed to carry the heavier load. For the serious hobbyist, the professional-level drones belong to you. High-end, expensive, and loaded with some really cool features will get your head buzzing. If you’re looking for a high-tech gadget that is more than a toy, these quadcopters can provide exactly that. Be prepared to dish out some serious cash for these aircrafts. They can cost anywhere between $800 and $2000, and maybe a little higher. A longer flight time is a wonderful attribute. A stronger and longer lasting battery means that you have more time to fly plus longer video shoots. With a higher price tag comes a drone with higher performance. Professionals are looking for superior camera capabilities, smoother flights, easy to control, superior safety features, and longer flights with stronger batteries. Usually, drones have one pilot who flies and controls the camera. But when you reach the top of your game in the quadcopter world, you may enjoy drones that have dual-operator controls. The pilot flies using the primary remote controller while the wingman operates the camera via the secondary controller. DJI scores in this arena again with the Phantom 2 Vision Plus. The footage is almost shake-free, and the stills are crystal clear and fantastically vivid. 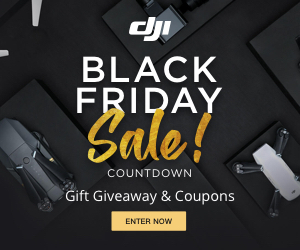 Filmmakers and photographers will love these quadcopters and the awesome camera features they have. The drones with a GoPro-like camera are in high demand. This type of camera is durable, user friendly, and can capture some majestic footage. Controlling the camera via the app on your smart phone puts everything at your fingertips. Videos, photo stills, and live streaming footage comes directly from the drone to you. The DJI Inspire 1 has a completely unobstructed 360 degree view because its motorized arms actually move out of the way when shooting. Twelve megapixels make the pictures pristine. And with its futuristic technology advances, the fishbowl effect that some other drone cameras have is eliminated. Although this drone is extremely pricey (over $2500), the striking photo quality that this camera provides is worth it. Most quadcopters are purchased by pilots to fly outside. But there are those times when flying indoors is feasible. A drone with a camera that can film indoors just as well as it does outside is a real gem. A high-quality HD camera is a must when trying to film indoors. Having a live real-time connection with the camera is a definite plus when attempting to get that perfect shot regardless of location. Before you shop for a drone, know should what you’re buying. But the choices, prices, and technology available make choosing difficult. We put together a comprehensive breakdown of drones and what you need to know before you buy. Drones are known by several names including quadcopters, rotorcrafts, quadrotors, and multirotor helicoptors. In a nutshell, they are smaller sized aircrafts that are flown using a remote control. They have a wide range of sizes, prices, and technical abilities. Some have cameras, and some don’t. Some have joystick remote controllers while others are controlled through an app that can be installed on any smart phone. Piloting a drone can be intimidating if you have the wrong model. And expensive if you can’t handle it properly. Our buying guide will take some of the guesswork out of your next quad purchase. Quadcopters for the beginner start out as low as $20. At this price, you get a small drone with a standard joystick remote control transmitter. For example, the Estes Proto X Nano. It can do the basic flight maneuvers and can be – usually – flown safely indoors as well as outdoors. It will be camera-less, but the main point of an entry-level drone is to buzz it around short distances for a short amount of time. Once you get the hang of it, you can move to the next level. As an intermediate pilot, expect to increase your budget to about $100 and up. At this price, the aircrafts can get fun. Cameras are now an option, more flips, more turns, longer flight times, and stronger motors open doors for the pilot to really have some fun. Higher priced quadcopters will have a return-to-home (RTH) feature. This is definitely worth the price tag since it means that losing the copter is almost impossible. When it reaches the end of its range or the battery gets low, it flips into automatic RTH mode and returns to its original starting point. For professional hobbyists willing to pay $1000 and higher, you can expect some really awesome results from your drone. The mounted high definition camera provides aerial video and still photo capabilities from up to 900 feet in altitude. Some cameras, like the one on the Phantom 2 Vision Plus, shoots at 1080p in JPEG and DNG at 14 megapixels. Not everyone wants the high tech aspect of quadcopters. If you just want a toy that you can enjoy flying around the house or in the backyard, a simple aircraft with no camera is all you need. If you want to try your hand at aerial photography, you can get a relatively medium-priced quadcopter with a decent camera that can provide some good quality photos. Drones like the Syma X5C Explorer come without a camera, but it has the option to purchase it separately. Use the camera only when you want to. For that high grade, professional quality footage, you’ll need to fork out some bucks and get a quad with a camera mounted on a gimbal. The gimbal stabilizes the camera and allows for tilting the camera and a wider range of movement. You get what you pay for. Drone flying can be an investment, or a total waste of money. Make sure you know what you’re getting. Depending on the model you purchase, flight time varies. Smaller beginner models can last up to about five minutes or so. Larger models can last longer, up to approximately 20 minutes, because they have more sophisticated motors and bigger batteries. Ranges and altitudes are dependent upon the battery, too. The higher and faster the drone flies, the more power the battery needs to emit. Having an extra battery on hand can be useful. Charge one while flying with the other, then swap them out for continuous flying. Smaller and medium sized drones can be flown indoors, but it’s not recommended for larger drones. The bigger the body, the more space you need. Larger quadcopters should be flown in designated flying areas if available. Local privacy laws may apply so check your area so you don’t get any fines for violating drone laws. Outdoor flights hold endless possibilities to do flips and turns, and further distances. The more sophisticated drones have LED lights on the front/back of the body to help orientate the pilot. They also help keep the quadcopter visible during night flights. Nothing is indestructible, including drones. Spare parts are highly recommended for all flyers. Crashing happens and when it does, having a replacement part on hand is always nice. Spare parts are readily available and usually not too expensive. The parts that need to be replaced most often are the propeller blades. Some kits come with a couple of extras already in the box. Other models will require you to purchase them separately. Either way, make sure you get some so you can switch out the parts and keep your drone in the air. Rather than replacing parts, you can also buy “preventative” parts, such as blade guards that surround the propeller blades and act as a protectant. Prevent the damage before it happens. Hit a wall or a small pet, and the guards prevent the blades (and the wall or pet) from damage. No damage, no need for replacement parts. Really nice and detailed link, really loving my DJI Phantom 3, it’s a fantastic peace of tech.